If you're looking for a pickup truck with real usability, we'd skip the four-cylinder models and go ahead and opt for the V-6. 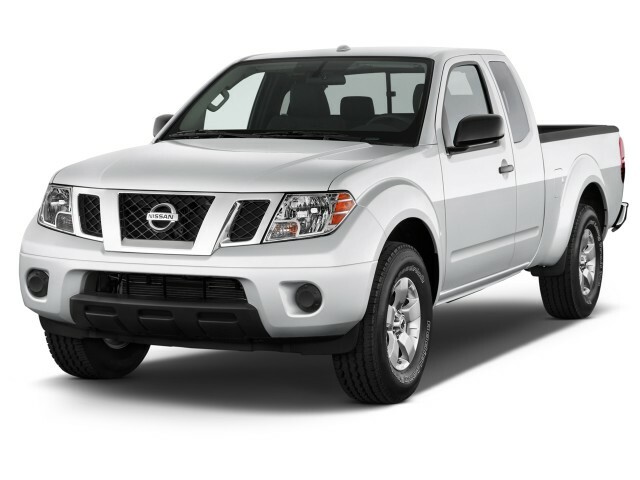 The 2015 Nissan Frontier is one of your best bets if you don't quite need a full-size pickup, but maneuverability and functionality are high on your priority list. 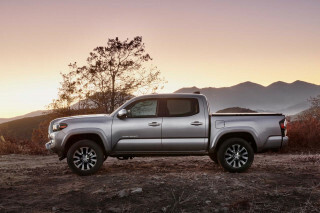 With the new GMC Canyon and Chevy Colorado, plus the new Toyota Tacoma already on the market, the compact pickup segment is in the midst of a strong revival. The Nissan Frontier comes from a previous era, but soldiers on with a right-sized do-it-all nature that still serves well. 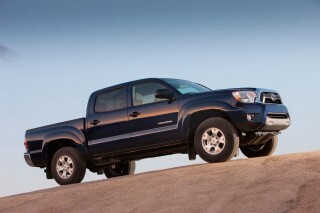 There are very few competitors in the market, with the Toyota Tacoma serving as the biggest competitor here. 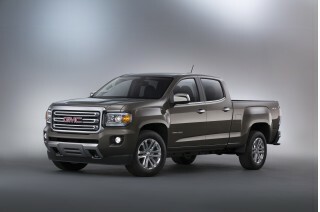 However, GM's new Canyon and Colorado compact pickups are back in the mix now, and they will soon come with a diesel option that may also come to the Frontier. Despite all of that, the Frontier remains one of the most comfortable, functional options, even as it shows its age, a full decade after its redesign. Changes for this year are minimal, with exception to the standardization of the NissanConnect with mobile apps infotainment system to upper-trim models. The 2015 Nissan Frontier hasn't been officially rated by the National Highway Traffic Safety Administration (NHTSA) or the Insurance Institute for Highway Safety (IIHS), but the structurally identical 2014 model earned top marks of "good" in moderate overlap front-impact, side-impact, and roof strength tests. Despite the available four-cylinder engine and lack of a V-8 offering, the Frontier doesn't get much better gas mileage than many new full-size trucks. Ranging from as low as 15 mpg city and 21 mpg highway (4x4 V-6 automatic models) to as much as 19 mpg city and 23 mpg highway (4x2 four-cylinder manual models), the Frontier isn't an ideal commuter vehicle in any form--but then, what truck is? As far as trucks go, the Nissan Frontier's one of the more stylish efforts, though the cockpit's aged more quickly than the body. The Nissan Frontier is nearly as content functioning as a daily commuter vehicle as it is living on the work site or out on the farm. Fortunately, it looks rugged enough for that, too. 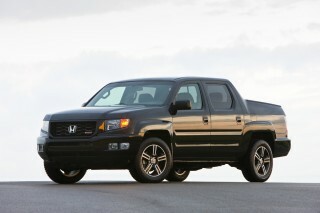 Function-first design dominates the Frontier's lines, inside and out. 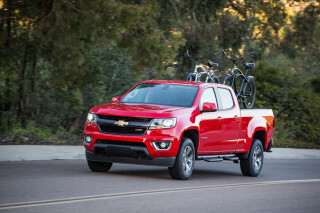 It's buff and brawny for its size, and it's easily the coolest-looking of the smaller trucks--though the Chevy Colorado and its GMC Canyon are new for this year. Carlike fenders swell and curve at the wheel wells, separated at the nose by a grille that, while attempting to blend into its surroundings, comes off as a bit of an afterthought. Stick with the V-6 Frontier with four-wheel drive for the best performance, on and off road. 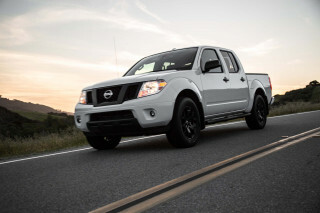 The 2015 Nissan Frontier remains a potent, gutsy performer with its optional V-6 engine, even as it ages. Many mid-size truck buyers aren't just looking for better gas mileage or lower prices--they often need better maneuverability as well. With the Frontier, you'll get it, but only up to a point; steering is good and the suspension controls the body well, but it can get choppy and harsh over broken surfaces. Both 4x2 and 4x4 drive options are available, though 4x4 is limited to V-6-powered models. The four-cylinder base model offers an economy-car-like 152 horsepower from its 2.5 liters, and performance reflects that: it's wheezy, weak, and strains under any sort of load. Because it's barely up to the task, gas mileage isn't much better than the V-6, either--it maxes out at 19 mpg city and 23 mpg highway. Rear-seat space is fair, but the Frontier puts the emphasis on ruggedness, not refinement. There are five versions of the 2015 Nissan Frontier available, including base Frontier S and SV models–both available with the four-cylinder or V-6–, the Desert Runner, PRO-4X and the SL, which is only available in Crew Cab layout. Crash-test scores on the latest Frontier are lacking. The 2015 Nissan Frontier hasn't been officially rated by the National Highway Traffic Safety Administration (NHTSA), but the Insurance Institute for Highway Safety (IIHS) has awarded marks of "good" in moderate overlap front-impact and roof strength tests, while head restraints score "acceptable" ratings. The PRO-4X is geared for off-roading; an updated media interface adds smartphone connectivity. For 2015, the Nissan Frontier standardizes its NissanConnect infotainment system on SV and Desert Runner models, and navigation is standard with the PRO-4X. A moonroof is also now standard for Frontier SL models. Skip the four-cylinder; the gas mileage doesn't improve enough for the performance given away. Thanks to its standard four-cylinder and optional V-6 engines, the Nissan Frontier scores respectable fuel economy figures for its segment. The V-6 engine is standard on four-wheel-drive versions of the Nissan Frontier. Manual versions score 16 mpg city, 21 mpg highway, and 18 mpg combined; with the automatic, it rates 15/21/17 mpg. With the V-6, the 2WD Frontier rates 16/22/19 mpg city/highway/combined with a six-speed manual, or 16/22/18 mpg with the five-speed automatic. 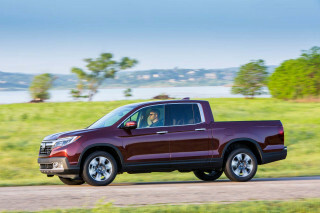 The 2WD four-cylinder Frontier rates as high as 19 mpg city and 23 mpg highway for a combined rating of 21 mpg, when equipped with the five-speed manual transmission. Opting for the five-speed automatic gearbox brings those figures down to 17/23/19 mpg. Those figures make the Frontier more efficient than Nissan's own Titan full-size truck, but the Titan is one of the thirstiest pickups on the road. Several full-size V-6 models in their base forms do better at the pump, and should merit consideration for the truck buyer that also covers lots of miles each year--the latest Chevy Silverado and GMC Sierra first and foremost among them. Nissan has shown concept trucks with diesel engines, but so far it's only confirmed a diesel for its larger Titan pickup.